The portal Kultura.rf (????????.??) has compiled a list of the Russian Museums, which has hosted the majority of visitors during the holiday season 2019. The data has been provided by the information system “Ticket accounting” of the Ministry of Culture of the Russian Federation. 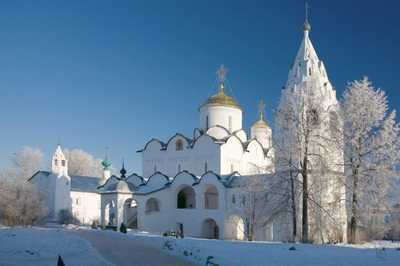 The top three has been The Moscow Kremlin Museums, the Tretyakov Gallery and the Vladimir-Suzdal Museum-Reserve. During the New Year holidays, across the whole country, the museums have been visited by 860 000 people. The highest amount during these days has been hosted by the Moscow Kremlin Museum and Tretyakov Gallery (about 85 000 people), the Vladimir-Suzdal Museum-Reserve (61 000), the State Historical Museum (47 000), and the State Hermitage Museum (45 000). The largest amount of people has visited museums on 4th and 5th of January. Below you can find the list of the 10 most visited Russian museums for the period from 30th of December 2018 to 8th of January 2019th.